It's time to illuminate tired and lifeless skin using our unique beauty balm packed with nourishing botanicals essential fatty acids. As well as containing Sea Buckthorn for instant radiance, you'll also enjoy the intoxicating aroma of raw chocolate and sweet orange essential oil as you gently rub it in your skin. Call it an organic facial in a jar and is a perfect travel saviour as you can use it as a cleansing balm, mask and moisturiser. As a cleanser - massage a pea sized amount onto dry skin or wet skin with your fingertips, using circular motions to release make up and pollutants, before sweeping the hot, damp bamboo cloth across the entire face to complete the cleansing ritual. As a mask - apply liberally to clean, dry skin and leave on for 20 minutes before sweeping a hot, damp bamboo cloth across the entire face. Follow with Blissful Youth Cream, Blissful Night Cream or the Illuminating Facial Serum for additional moisturisation. Cleansed, nourished, and instantly luminous skin. An organic facial in a jar. Suitable for all skin types, including dry and damaged skin. Not suitable for vegans contains raw bee products. 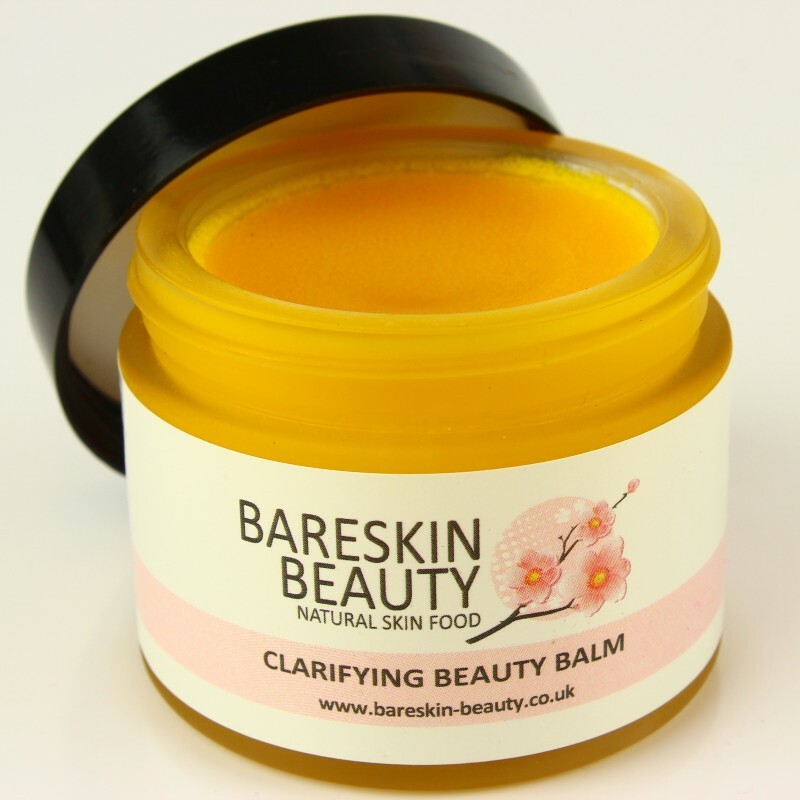 Shea Butter, Cocoa Butter, Jojoba Oil, Sea Buckthorn, Grapefruit & Sweet Orange. Shea Butter and cocoa butter are plant fats with high levels of antioxidants that offer unparalleled nourishment and moisturise for the skin. Both possess a smooth texture and a pleasant aroma and leave a protective layer on the skin, sealing in the healing qualities of the essential oils contained within the product. Rosemary has been revered for hundreds of years for its detoxifying and rejuvenating effects on the skin; it is both refreshing and stimulating. Sea Buckthorn Oil has an unbelievable abundance of health promoting bioactive components. Including 6 different fat soluble vitamins, 22 fatty acids, 42 kinds of lipids and 36 kinds of flavanoids. It is the richest natural source of Vitamin A (Beta Carotene) vitamin c and Omega 7.